The size of the plants should match the size of the planters, not so tiny it can barely be seen, not loose or floppy. In general, younger is better. Young plants that have been hardened off properly by the grower and are ready to be moved on into their final home are always the best choice. Many gardeners are not aware that most garden centres do not grow their own plants. Rather, the plants are grown in large greenhouses by wholesale nurseries, and delivered to garden centres and supermarkets in large trucks, usually on a weekly basis. How long these plants sit on the shelves and how well they are cared for while waiting to be sold has a lot to do with the quality of the plant. In general, the wholesaler delivers plants that have been hardened off properly and are ready to be planted that week or the next. The longer they stand on the shelf, the greater the chance that quality will suffer. Specialized plant nurseries generally propagate their own stock in their own greenhouses or growing fields. The prices may be a bit higher and the numbers of plants within a given species may not be huge, but you're dealing with a hands-on professionals who have intimate knowledge and expertise in plant care. You can be assured you'll get a plant that will perform exactly as described, given proper care, and it will be worth the additional expense. From seed or cutting to mature specimen, your summer annuals, spring bulbs, perennials, shrubs and trees must be looked after properly if they are to give you their best, over the longest possible period. Pruning, propagation, watering, feeding, planting, and pest and disease control are neither difficult nor complicated. Follow the few simple measures outlined here, and your plants should be both healthy and happy. Give your plants the very best possible start by planting them properly. Ensure that the planters are completely clean and that the inside of planters are free of old soil, which might harbour disease. 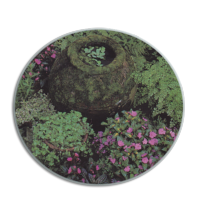 Porous-surfaced planters, such as stone and terracotta, should be cleaned especially well. Scrub the planters with a mild disinfectant. 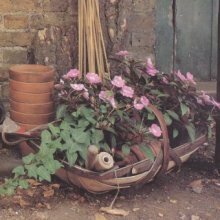 If you would like the outside of old terracotta planters to keep their weathered appearance, just clean the inside. It is a good idea to give porous-surfaced planters a good soak before planting them up. When they are dry, planters quickly take a great deal of moisture out of the potting mixture. Next, place a layer of drainage material in bottom of your planters. Pieces of broken terracotta make one of the best drainage mediums, but pebbles or even pieces of polystyrene can be used. Planter plants grow best when planted in a peat-based or soil-based potting mixture. The soil-based mixtures are usually neutral, although some are made up with either a higher acid or alkaline content. The peat- based mixtures tend towards acidity. Both the peat-based and the soil-based potting mixtures are sold in varying degrees of nutritional value. The one with the lowest nutritional value is ideal for raising seeds and potting on seedlings. Potting mixtures of medium nutritional value are best for young plants, and the high nutrition potting mixtures are used mostly for mature plants. Soil-based potting mixtures tend to be heavy and can easily become compacted and solid, making efficient watering difficult. The peat-based ones, however, dry out very quickly, and once dry are not easy to make moist again. I find that an equal mixture of the two makes one of the best mediums unless the plant has particular requirements.